Most people would agree that Strategic Orientation is a positive factor for organisations. But what does that mean? How do you determine how Strategically Oriented your organisation is, and what can you do to improve the situation? The first step towards Strategic Orientation is, very simply, to start talking about strategy. According to Dr. Robert Kaplan (personal communication, 2000), 85% of Executive Teams spend less than one hour per month discussing strategy. If an executive team can't find the time to lift their sights of the day to day operational and tactical issues to talk about strategy, then it should come as not surprise that it will not become an organisational priority. The organisation is likely to remain in "fire-fighting" mode indefinitely. It is easy enough to actually measure the amount of time executives spend discussing strategy. The optimum time will, of course, depended on the competitiveness of the industry in which they operate (refer to Porter's 5 Forces model for one method of determining industry competitiveness). Sheer length of discussion though, whilst a good start, is not enough. It is important to focus on the quality of the discussion as well. Quality Strategic Dialogue requires continuing questioning of assumptions (ref: Senge for Double Loop Accounting, Balancing Advocacy and Inquiry). More complex techniques, such as Scenario Planning are also useful tools for increasing the quality of Strategic Dialogue. External Analysis: A shared view on the external environment as it is relevant to the company. Again, Porter's 5 Forces Model provides a useful framework here. The external analysis should also include a shared assessment of the opportunities and threats which the organisation faces. Internal Analysis: A shared view of the internal state of the company. The McKinsey 7-S Model may provide a useful framework. The internal analysis should also include a shared assessment of the company's strengths and weaknesses. Vision: Some form of vision statement or mission statement is required to describe the company's ideal future state. This ideal future state should be cognisant of both he internal and external analysis, drawing on the company's strengths to take advantage of opportunities. Implementation Plan: Having formulated a vision of the future, the company needs to plan specific initiatives to achieve it. The Implementation Plan should take the form of a project of projects - a high level plan reflecting the achievement of specific strategic goals. Most organisations have strategic plans, but often these are shelved - never to be looked at until next years Strategic Planning conference. Often, they are also considered to be top secret, highly confidential, and only to be seen by a few select top managers. It is not surprising then, that such plans are seldom successfully implemented. To be successful, the Strategic Plan must be widely communicated to everyone who is to be involved in its execution, and held up for scrutiny, challenge and modification. The only good Strategic Plan is a living Strategic Plan. The percentage of employees who have read the Strategic Plan. The percentage of employees who can tell you, more or less, what the Strategic Plan is, without having to refer back to the document. The percentage of corporate projects or initiatives which are directly aligned with and/or indicated by the Strategic Plan. For a strategic planning and management process which can encompass all 5 levels of Strategic Orientation, see The Strategic Learning Model. The Balanced Scorecard provides a systemic methodology for creating Strategic Measurements. It is most important though, to ensure that you have at least one measure for every significant aspect of your Strategy. 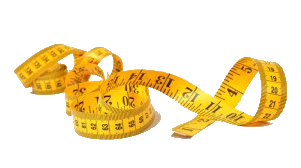 About 16 measures is usually ideal - more than 25 measures might suggest a lack of strategic focus and become difficult to manage, and less that 12 almost surely indicates and oversimplification of the business. Establishing specific Strategic Objectives aligned to your Vision. Set targets for each variable. These targets may be planned to change over time (e.g. to increase by 2% every month for the next 3 years) or may be constants. Change targets should always have a specific time dimension. The percentage of people who can tell you what the Strategic Measures are, and which ones are up and or down for the most recent period. The extent to which deviation for the measurement targets decreases over time after the introduction of the measure. Ensure Strategic Dialogue, Planning and Measurement take place on an ongoing basis. Often, Strategic Planning is an annual event, and there is little else to ensure that any thought is given to organisational strategy throughout the rest of the year. The Strategic Calendar should ensure ongoing and regular attention is paid to different aspects of the strategy on a rotating basis. This ensures that the Strategic Plan is continually reviewed and updated. Ensure Strategic Dialogue, Planning and Measurement take place at different levels. Clearly, an organisation would not like to review and update its entire strategy on a frequent basis. This would introduce uncertainty into the process, which would deteriorate the advantages gained from Strategic Planning in the first place. The Strategic Calendar should slice and dice the Strategic Planning process into different levels and components, and should ensure that these are each addressed in a logical and systematic process. Integrate the Strategic Planning processes and events with those of other functions of the organisation. Strategic Planning exists as part of the greater organisation process and is particularly interlinked with Financial Planning and Human Resource Planning (particularly performance appraisal and incentivisation). The Strategic Calendar should reflect these interdependencies, ensuring that each activity is seen as part of the greater whole, rather than as an unwelcome chore. Finally, the organisation is ready to weave Strategic Dialogue into the very fabric of the organisation's communications. Strategy involves establishing the metaphors and mental models which underlie the way in which people think about the organisation. Refer to The Strategist as Playwright for a metaphor on the Strategist's role in writing the organisation's dialogue. The extent to which people discuss the organisation using the metaphors and mental models established during Strategic Dialogue indicates the extent to which people have internalised or "bought into" the strategy. Such internalisation of metaphors and mental models will also guide their day to day action, ensuring a Strategy Oriented organisation. Your blog is very informative. I just read an article on McKinsey 7S Framework: http://www.coursework4you.co.uk/mckinse_7s_framework.htm and your blog is a good complement to my readings. Your blog is very useful and informative especially for students. Thanks for the feedback, and I am glad you found the blog helpful.